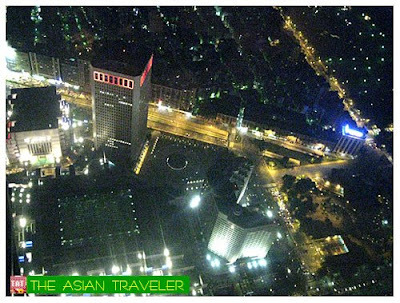 Our original plan was to book for a City Night Tour that includes a visit to Taipei 101, but after having second thoughts we decided to do it on our own. So, hb and I hailed a taxi cab for a short drive to Taipei 101 Tower, which is currently the official tallest building in the world. (Burj Dubai, the upcoming world's tallest tower is still under construction). It has a total height of 508 meters and 101 floors. The exterior design of the building is based on the appearance of a bamboo combined with modern technologies. 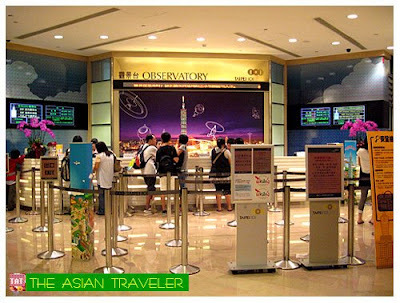 The tower is divided into two sections, the Wing (Taipei 101 Shopping Center) which is the entrance to Taipei 101 Observatories, and the Tower that house company offices (visitors are not permitted to enter here). For security and visitors convenience, there are lockers near the elevator that are provided for temporary storage. As soon as we got our tickets, we stood in line to ride the world's fastest elevator. As we ascend, the lights went out but the display of scintillating heavenly bodies on the ceiling lit up the place. The lady operator welcomed us in three different languages (Chinese, English and Japanese). 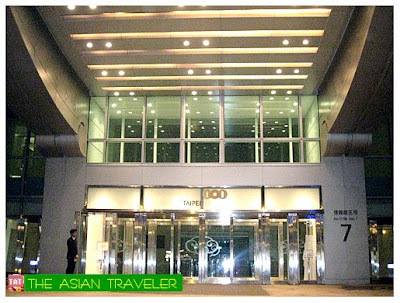 If you're facing the door, there's a digital video on the wall located on the right hand side that show your ascent to the top. With top speeds of 1,010 meters per minute, we were whizzed up to 89th floor in just 39 seconds. 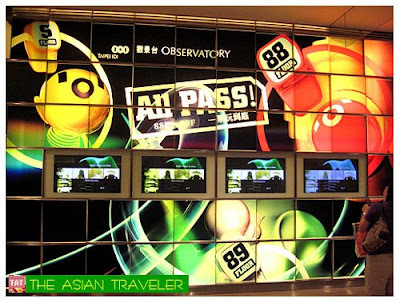 We arrived on the 89th floor which is the Indoor Observation deck. Here you can choose to have a recorded voice tours which is offered in eight languages (admission tickets stubs can be exchanged or a passport is required) or just do it on your own. There are huge glass windows for viewing, high power binoculars, informative displays and exhibits, snack bars and a souvenir gift shop in this area. 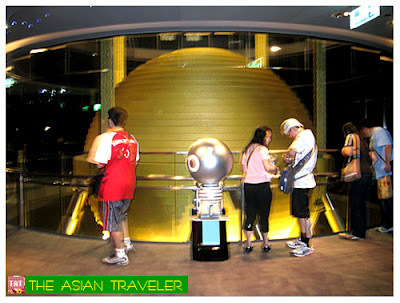 Oh, and don't miss the giant "Damper Baby" that is located between the 87th and the 91st floor. 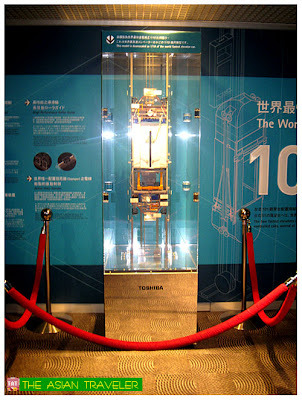 There's a stair that led to the 88th floor where you can visit this 550 cm. 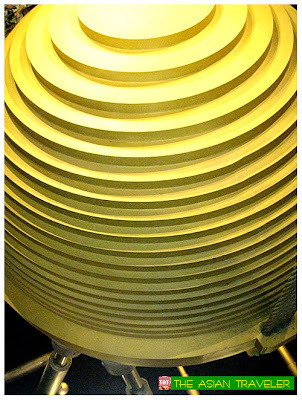 tall and weighting 660-metric tons steel pendulum that serves as a tuned mass damper. 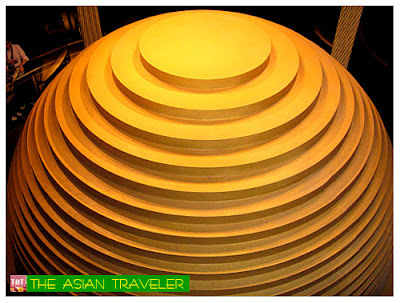 This was built to protect Taipei 101 tower from typhoons and earthquakes where it enhances safety and comfort by vibration isolating and energy dissipating. We took two more flights of staircase from 88th floor to the Outdoor Observatory located on 91st floor. The observatory terrace is surrounded by fence and this section offers a magnificent 360-degree view. 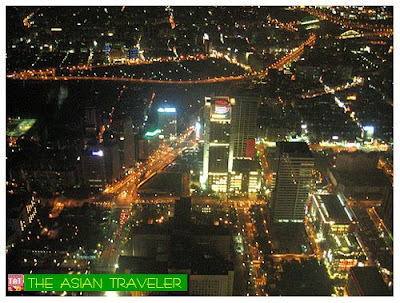 We stood staring down the sweeping vista of the city of Taipei. 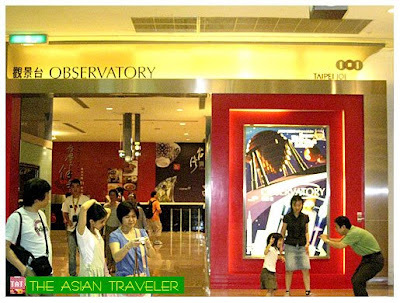 No wonder it is the world's second highest outdoor observation deck. Please take note this is only open on certain occasions and weather permitted. If you want to know more about the history of Taipei 101, there's a documentary film at the indoor theater shown every 15 minutes. After enjoying the view, we rode the elevator back down to the fifth floor that houses numerous banks, brokerages and the Sony's flagship store. Then we took the escalator down to the fourth floor which is called the City Square. 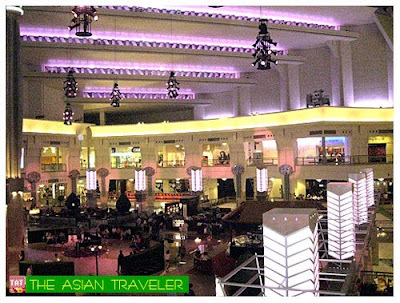 This area is the most striking space for music, art, fashion, and entertainment. 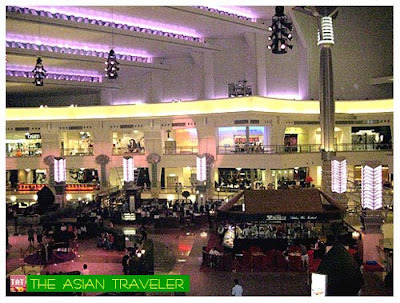 There are international restaurants offering a grand dining experience here. Hb decided to peruse the Page One Bookstore (that has a largest number of English-language titles in Taipei), while I spent my time (casually seated on a bench) just observing the activities of the square. 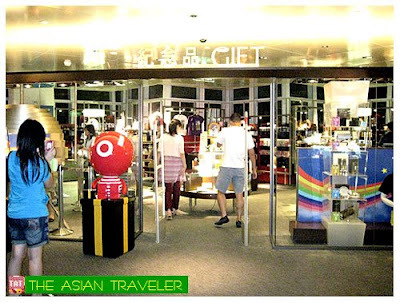 Then we wandered around the remaining floors that carry top luxury brands from around the world in all-new flagship stores such as Lacoste, DKNY, Armani Exchange, Valentino, Nautica, Bulgari, Cartier, Louis Vuitton, Tiffany and many others. So, if you're hankering after high-end fashion or hottest trends in fashion, accessories, and cosmetics this place will surely excite you. 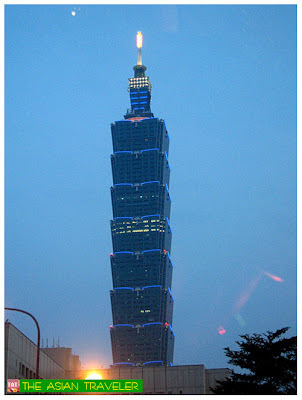 Overall, Taipei 101 Tower and the amazing view is worth a visit. The Observation decks are open daily from 10:00 am to 10:00 pm, and tickets are sold till 9:15 pm. 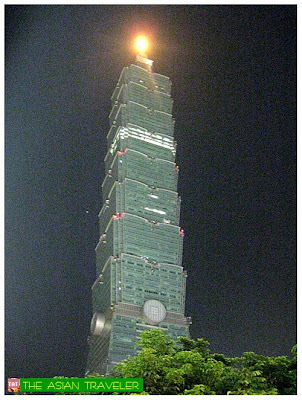 Taipei 101 is located at Hsin-Yi Road, Sec. 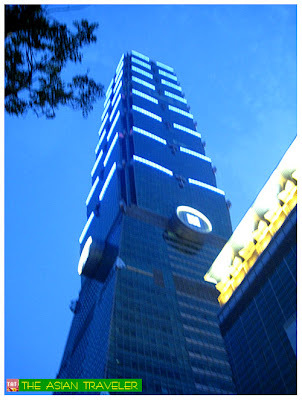 5, Taipei 110. 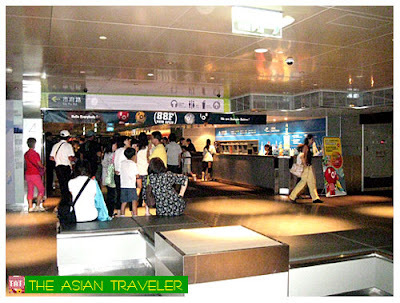 The nearest MRT station is City Hall. Wwwoo...nice pictures you have taken here! wow! maybe the highest floor of a building that i've reached is just the 35th floor. cant even remember the building. with this! wow! i can guess where you're planning to go next! dubai!!! to see the new world's tallest building! It does look like a stack of Chinese takeout! But there are so much more than its outer appearance. wow that view of taipe from above just took my breath away. 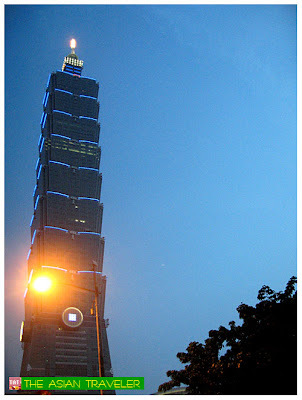 Yes, Taipei 101 is a MUST go spot in Taipei. It looks a beautiful building. I wonder if it will be as popular when it is only the second tallest in the world?